iderdider....: infant sign language not necessary. Translation: "No really, Mom. 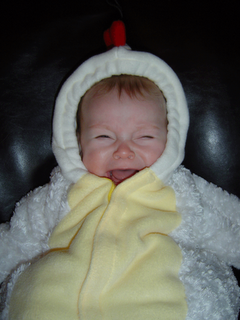 I HATE this chicken suit." I agree with aunt Dani! OK. I found the chicken suit. Poor little chicken.